I’ve seen you around online, and I like most of your writing. There is one thing I’m not so happy about. When you talk about rewards credit cards, you always talk about how much of a great thing they are. Although, you touch on the dangers of excessive use, you don’t talk much about that part of it. The email went on to say more, but that was the gist of the argument. That being said, in every article I write about rewards credit cards, I do talk about the dangers of excessive use. And, to be quite honest, I just learned about the costs stores pay when a rewards credit card is swiped from comments here in the Monday Money column. However, since then, I’ve been making that clear as well. However, when I read between the lines on these types of emails, I come to the conclusion that rewards credit cards have a pretty bad rap for becoming a debt trap. Is that true, are they really a debt trap? 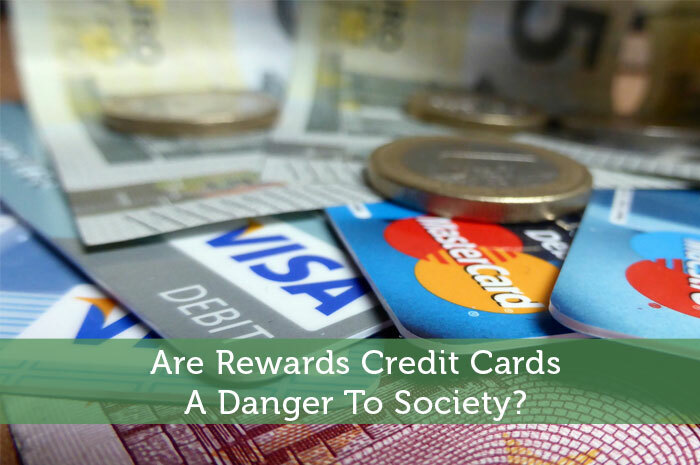 Because rewards credit cards offer rewards for each purchase made, the idea is that they compel consumers to make more purchases than they generally would. This is for 2 reasons. Rewards programs tend to put a prize aspect on spending. If you spend this much, you get this prize. So, when consumers are close to earning that reward, which we’re considering a prize, the thought is that they spend more than they have to in order to reach that benchmark. Another argument that those who think rewards credit cards are debt traps make is that rewards programs create a competitive nature around spending. Because rewards programs often revolve around rewards points, the idea is that people will look at them like a game. After all, the only time most people are worried about points is during a game. However, we all want to win every game we play, and we know that the more points we have, the better our chances are of winning. Therefore, in the rewards credit card game mindset, the idea is that consumers overspend to build their points up and feel like their winning the game. Is There Any Validity To These Arguments? Absolutely! Each one of these arguments can be held as truth when you look at the basics of psychology surrounding games and rewards programs. I am in no way trying to downplay the idea that many people overuse rewards credit cards for the purpose of earning this reward or reaching that reward points benchmark. The truth is, these kinds of things happen. But, does that make credit cards themselves the bad guy in the equation? In My Opinion, The Answer’s No! Honestly, I believe that rewards credit cards are a great financial tool. They are used by millions of consumers worldwide, and in more than 90% of the cases of their use, these problems don’t exist. Why? Well, because they were not intended to create these problems. When rewards credit cards were created, they were designed to provide the same financial benefits that any other credit card would provide. They provide safe purchasing, easy accounting, and the ability to pay debt off over time. However, because there is so much competition in the credit card industry, lenders had to come up with something that would make their credit cards more appealing than those offered by their competitors. So, they added in rewards programs. Therefore, rewards programs weren’t designed to be debt traps, and in most cases, they aren’t. However, there are people with incredibly competitive personalities that do fall prey to debt as a result of the above mentioned arguments. So Who’s Fault Is The Overwhelming Debt These Innocent Consumers Are Dealing With? Well, I hate to be the cynical bearer of bad news, but the truth is, most consumers dealing with overwhelming credit card debt aren’t victims. The unfortunate reality is, they’ve done it to themselves. When the lender approved the consumer for the credit card, they didn’t say, “Here’s a never ending credit limit, go spend until your heart’s content, and we’ll worry about the debt later.” No, they gave clear terms and conditions and expected the consumer to use the credit card responsibly. Don’t use rewards credit cards unless you feel you are 100% financially responsible. Rewards credit cards and any other credit card for that matter all can be used improperly. If you don’t understand how credit cards work, or feel that you are not financially responsible enough to handle a credit card yet, you shouldn’t use one. The bottom line is, credit cards put thousands of dollars at your fingertips. It’s up to you to not go on a spending spree and be more responsible about that money. Do you think credit cards are a debt trap? Click here to compare the best rewards credit cards. For myself I don’t think credit cards are a debt trap at all. I use it as a way to get rewards on the items I already will be purchasing and pay it off every single month. I’m a responsible person and I love getting rewards! Of course for those that can’t manage their money or are just starting out it can definitely be a trap. In the end its up to each person to be responsible and not spend more than they have. It always goes back to not spending more than you make! Hey Christine, thanks for your comment. I couldn’t agree more! Hey Money Saving, that’s a great idea, but credit card users are so accustomed to rewards that it would be quite a headache for lenders. Originally rewards cards were intended to capture a greater share of wallet from cash purchases from transactors – people using the card, but paying the balance in full every month without incurring any interest charges. As long as people use the cards in this manner there is no harm to the user. They are only using the card to purchase items they have the money to purchase today. Over time that seems to be changing. Citibank has been running ads that cross over the line for me. It shows examples of card-holders spending money at expensive restaurants just to get the rewards. Thanks for swinging by! I agree with you there. Rewards credit cards were designed with great intent. In some cases, lenders forget that intent as well as consumers. Josh, I SO agree with you here. People need to start taking responsibility for their own actions. Don’t like the credit card fees and interest? Don’t use them. Thanks for your comment Laurie! I couldn’t agree more! I feel this rewarding credit card are meant to trap normal people to use it on random basis on buying things, also to earn the point is not even easier, it makes one to spend excess to win those rewarding point, to stay in the loop. Credit cards are great when used responsibly, credit cards that offer rewards are even better! I use my rewards credit card to pay for all everything from groceries, gas to electricity bills. I don’t spend more just to get more rewards. To me, why would I pay with cash and earn nothing when I can pay with credit card and get as much as 5% in rewards. I don’t pay any interest charges or late fees because I always pay off my bills on time every month.